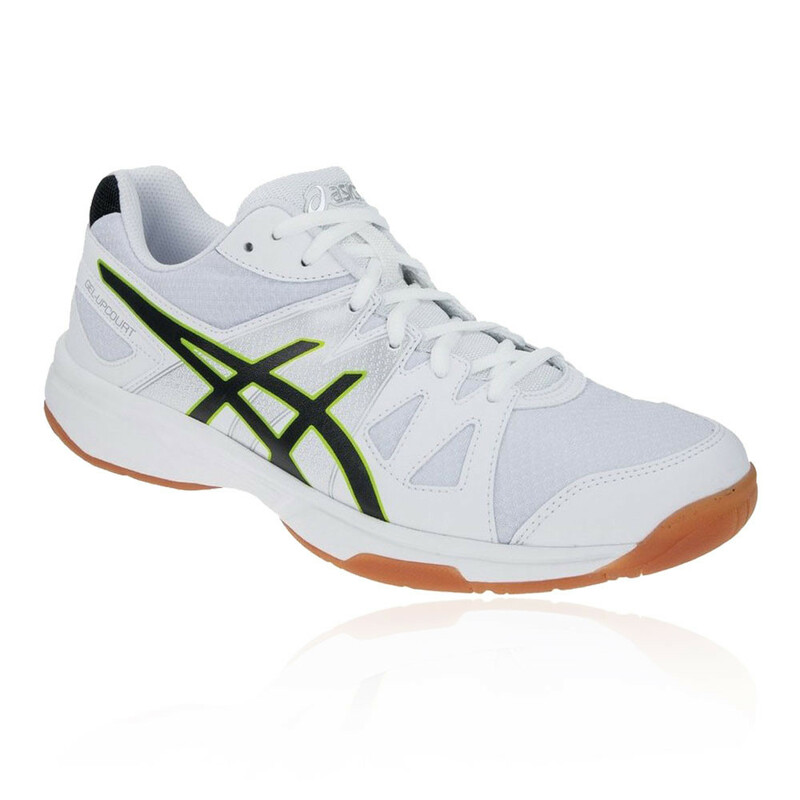 The multi-court Gel-Upcourt shoe from Asics features a durable gum-rubber outsole for optimal grip and flexibility to enable sharp, aggressive movements on the court. Synthetic leather and mesh combine in the upper for ultimate breathability and forefoot comfort. "Very comfy and good grip indoors"
"Very good for the price, no complaints"
The upper of the Gel-Upcourt has been constructed using a synthetic leather material to add durability and protection for the feet. Synthetic leather keeps the feet safe from abrasion and damage typically associated with on-court play. Working alongside the leather is breathable mesh which actively and efficiently wicks away the build-up of excess sweat and moisture, leaving your feet cool and comfortable as you strive for the best results and performance. Additionally, cool air is encouraged to circulate, creating a drier, healthier environment for your feet to thrive. A padded tongue sits comfortably against the skin, reducing friction and irritation such as chafing while the traditional lacing system offers a secure, locked-in feel as you move. 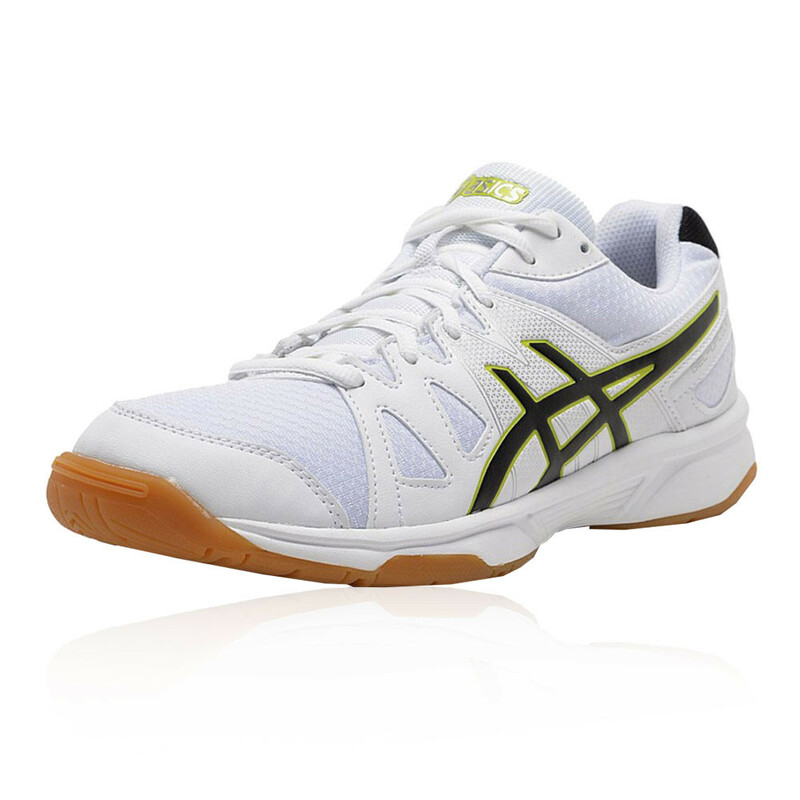 A rearfoot GEL cushioning system resides in the midsole to provide cushioning and comfort as you move around the court. Having the cushioning will ensure you exude confidence and play without discomfort, giving responsiveness and improving the overall feel. The GEL also attenuates shock and impact, reducing the wear and tear placed on your knees and joints. The outsole is comprised of a gum rubber compound, offering exceptional grip and traction without being overwhelming or bulky. This helps you to make sharp, aggressive movements on the court with optimum flexibility to enable a full range of motion and mobility. The outsole is non-marking, ensuring it does not damage or scuff indoor surfaces. Synthetic Leather Upper - Adds durability and protection to the shoe. Overlays - Prevents the toes from being stubbed and resists abrasion. Breathable Mesh - Encourages cool air to circulate. Traditional Lacing System - Offers a secure, locked-in feel. 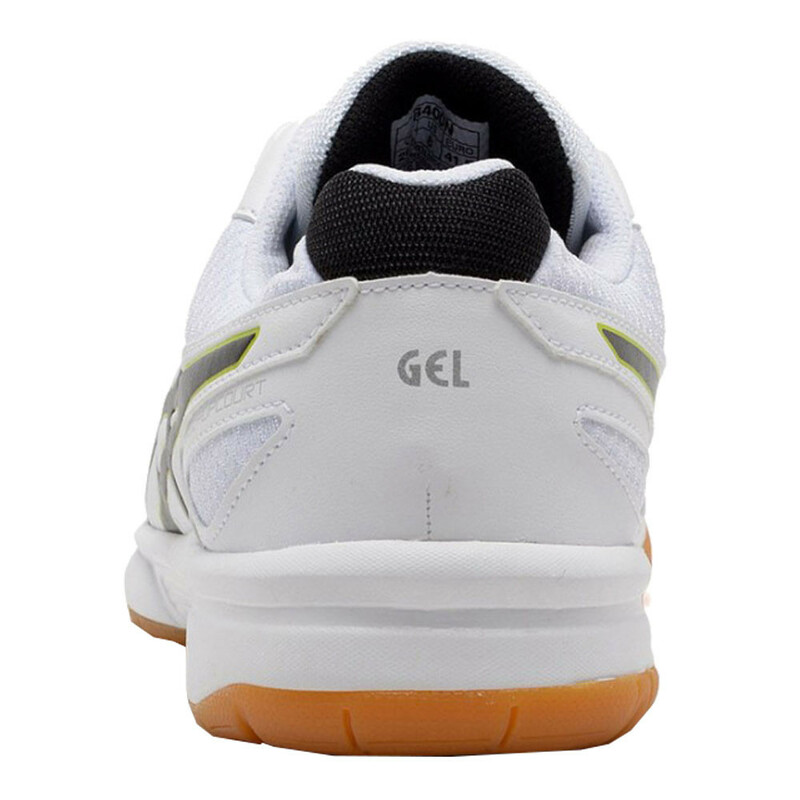 Rearfoot GEL Cushioning - Adds cushioning and comfort. Shock Absorption - Attenuates shock and impact. 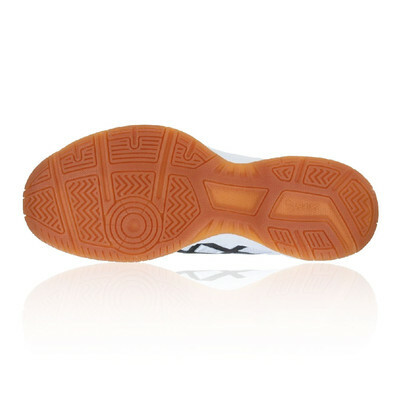 Gum Rubber Outsole - Provides optimal grip and traction. Non-Marking - Will not damage or scuff indoor surfaces.